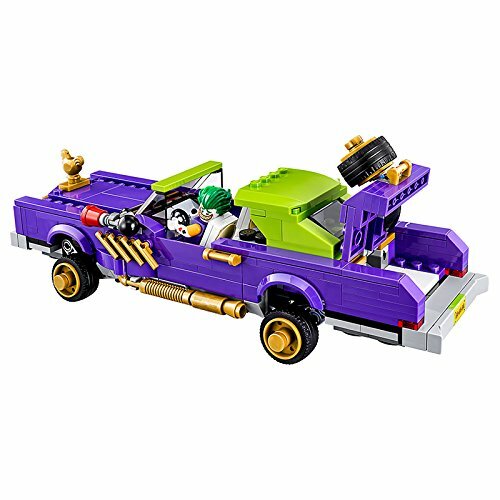 Build the joker's wacky custom car with bouncing suspension system and hidden spring-loaded shooters in the boot! 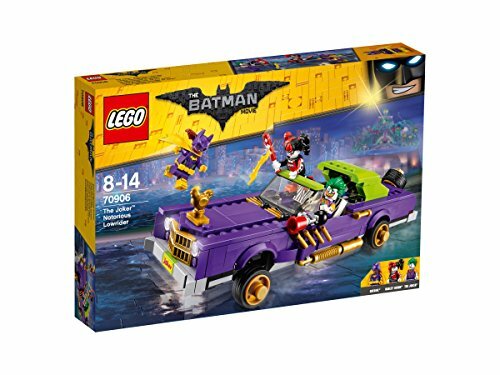 | featured in the lego batman movie | includes the joker, harley quinn and batgirl figures | the lego batman movie building toys are compatible with all lego construction sets for creative building | measures over 5cm high, 23cm long and 7.5cm wide | 433 pieces - for boys and girls between the ages of 8 and 14 years old | the joker is bouncing around gotham city with harley quinn committing crimes wherever they go. Catch up with his notorious lowrider with batgirl, but beware of the hidden shooters in the trunk. Chase down harley when she jumps off the side of the crazy car and tries to skate away. Capture this creepy pair before they cause any more chaos!